Let’s talk a little about D.Va so we better understand what Heroes counter D.Va, first with her strengths and weaknesses. The general strategy to D.Va is making use of her mobility and ability to block projectile damage, however, It can be easily countered by the right D.Va Hero Counters. D.Va Counters are mainly mei as well as others who at close range would shred any tank hero. Reaper and Zarya make for some amazing D.Va Counters. If you activate D.Va’s Booster ability and fly towards an enemy player, you will deal damage in addition to knocking them back. This is very effective in cases where you need to get rid of a pesky enemy widowmaker or hanzo. since more often then those type of heroes will be position somewhere high up. Using Boosters before using Self-Destruct will allow D.Va to propel the mech forward before it explodes. Even though Pilot: Defense Matrix Ability will destroy almost every projectile in Overwatch, it will not stop certain abilities, such as energy beam from Zarya’s Particle Cannon or the frost beam from Mei’s Endothermic Blaster. 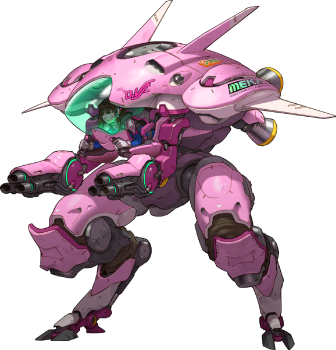 This makes both the best D.Va Counters in the game, as they can safely attack her while Defense Matrix is in use. Since D.Va cannot do damage while defense matrix is up, its a huge disadvantage to D.Va in this match-up. Mei: the second best D.Va Hero Counter due to her Endothermic Blaster, which D.Va is unable to negate with her Defense Matrix. Zarya: Not only is zarya a better tank hero then D.Va in almost all cases. Zarya is a super strong D.Va Hero Counter due to her shield being able to block D.Va’s Ult Damage. It Also helps that D.Va is unable to block Zarya Energy Beam.